is a professor of law at the Law School of the Humboldt Universität zu Berlin (Germany). He wrote his Dissertation (Dr. iur.) and his Habilitation at the University of Munich; and he earned an LL.M. from the University of California at Berkeley (USA) in 1984. As a Feodor Lynen Fellow of the Alexander v. Humboldt-Stiftung he had also been at UC Berkeley in 1989 and 1990. 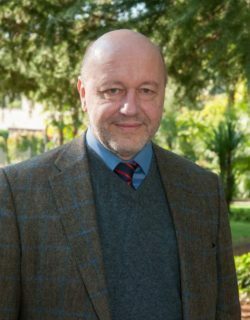 He is external member of the faculty of the St. Gallen-Hochschule, and has held guest professorships, among others, in Paris (France), Cape Town (South Africa), Fukuoka (Japan), Brooklyn School of Law (USA), University of Sydney, Tongji University in Shanghai (China) and Lomonosov University in Moscow (Russia). Since 1998, Christoph has served several times as a Consultant to the International Monetary Fund in Washington, D.C., and Consultant of World Bank in Washington, D.C., regarding inter alia insolvency laws and legislation. From 11/2006-11/2011, he served as Adviser of the German delegation for the UNCITRAL deliberations on group insolvency law and further topics. He is member of the International Insolvency Institute (of which he is presently a Vice-President of), the International Association of Procedural Law, of the American College of Bankruptcy, of the International Academy of Commercial and Consumer Law and of the Instituto Iberoamericano de Derecho Concursal (extraordinary member), and currently serving as the Chair of the Academic Forum of INSOL Europe.